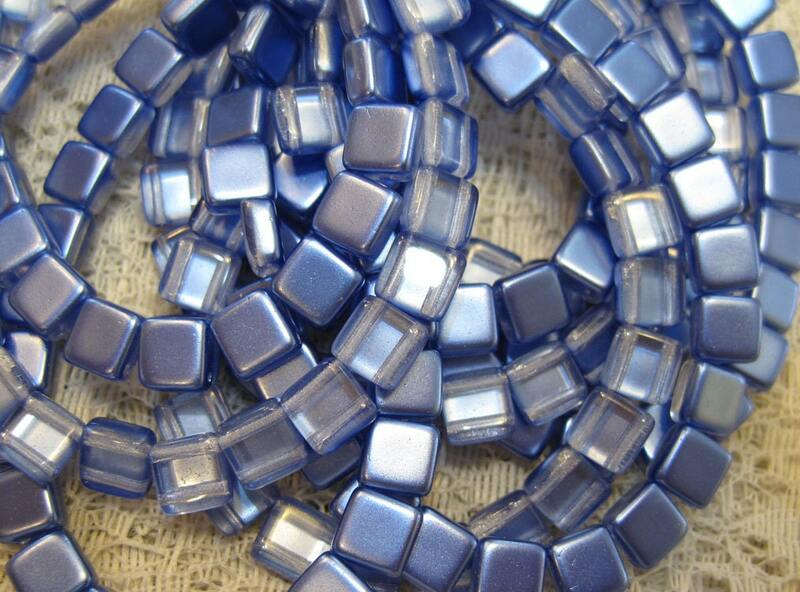 Satin Tufts Blue two-hole tile beads, 6mm x 6mm, with a metallic finish on one side. The other side is transparent. Made in Czech Republic. 25 beads per strand. 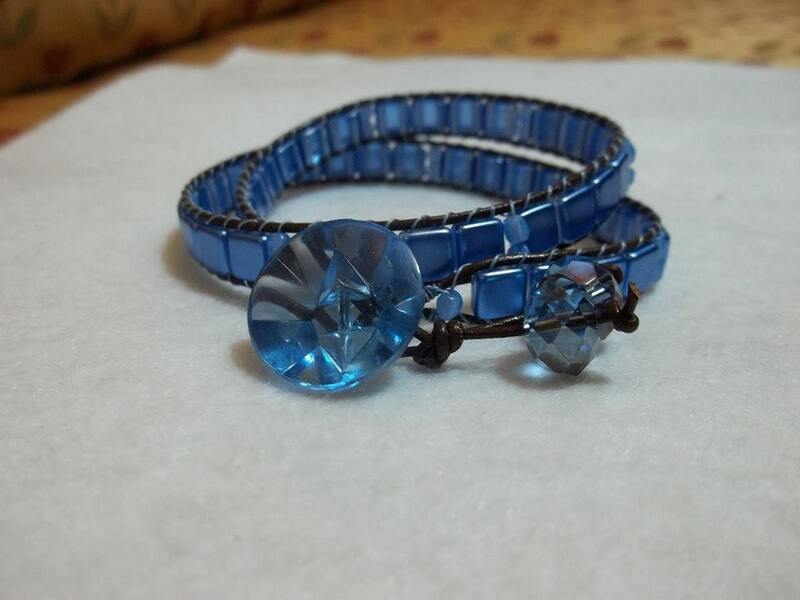 The second picture on this listing shows one example of how you can use these beads - bracelet not for sale on this listing.